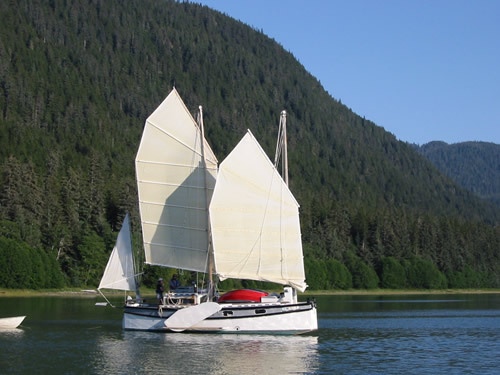 Mark's brother Dave and his wife Anke have been very helpful because of their experience building boats. Hear their story on FurledSails.com's Podcast. 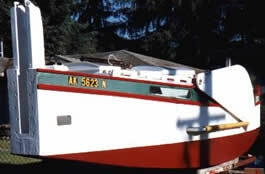 Their second boat, a 31-foot "Bolgeresque" boat similar to the Advanced Sharpie (AS) 29, is named Luna. 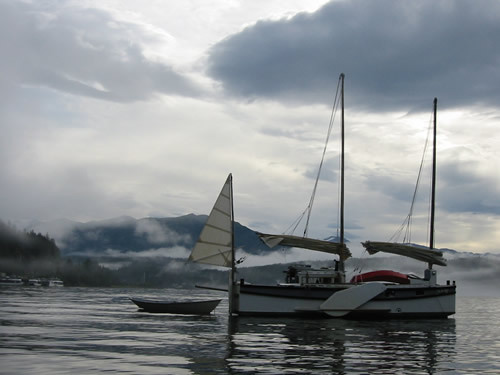 Cruising Echo Cove, Berners Bay, August 2002. Two panels down in the foresail. 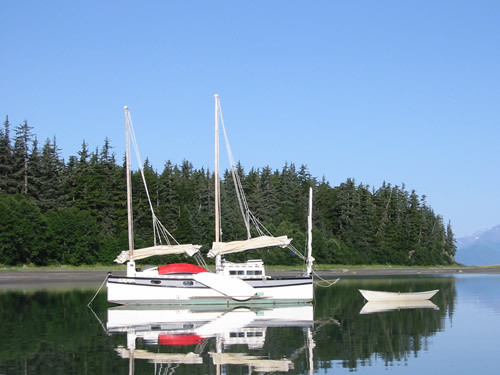 Mark took this photo at about 4:30 AM in August 2002, Echo Cove. Luna's interior, starboard side. Stowage in settee seat and backrest. Port side of galley looking aft. The bunk from the salon. Luna comfortably dry in Echo Cove. 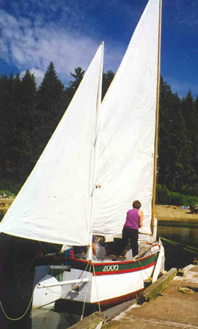 The dinghies are a Gloucester Light Gull and a Nymph, both Bolger designs. 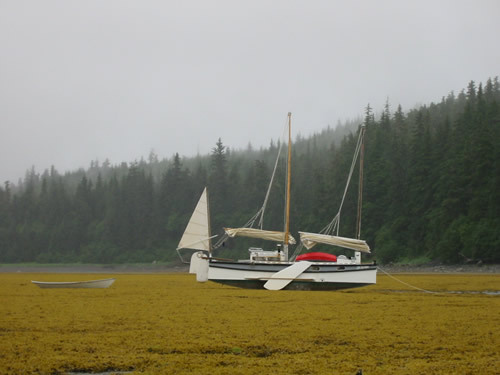 Labor Day morning, 2002, Auke Nu.